6. Best quality with reasonable price! 7. The voltage grade is 500kV. 8. The monthly production capacity is 3000 Metric tons. 9. 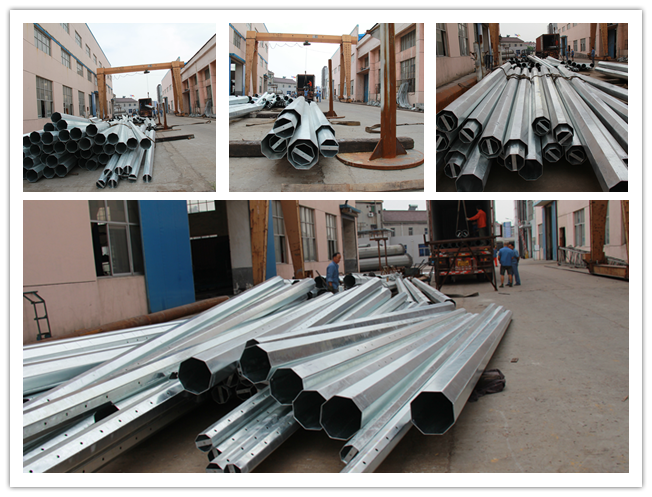 The largest company of eastern region in China to design and manufacture the steel tower pole and related products. 10. A strong teemwork of tecknological reserch and advanced progress. 11. Mainly exports to southeast Asia, Middle East and other countries and regions. The product is mainly use in small power transmission line, which suitable for Small whole, ceiling-mounted steel pole tower installation transmission line project; Generally it only applies to erect on the flat terrain such as plain and side of the road, and much rely on heavy lifting machines for installation. Straight Pole is mainly use to the “straight” part of the power line, it usually only bear with the weight of the wire, the endured wire icing and wind pressure. Tension pole is mainly use in Load-bearing towers; it would be set between few Straight towers. Since the power line discounted and tower collapsed, it would limit the fault segment between the two Tension towers in the case of tension imbalance on both sides, which ease of construction, maintenance. 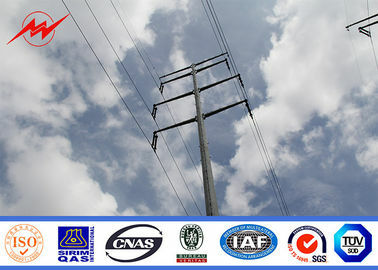 Angle Pole is mainly installed in the around corner of the power line, so the structure of it has to consider the requirement of undertake imbalance tension; According to the angle degree and strength of tower design, straight line angle tower is mainly use in the small degree corner of the power line, and Tension Angle Tower is mainly used for larger degree corner of the power line. Terminal Pole is mainly use in the beginning or end of the power transmission line, it usually set as the first tower of extension line of substation; because it could undertake great imbalance tension, so sometime it also use in the large degree of power line corner.